Coy A. Pederson is senior at Cotter High School in Winona, Minn. Originally from Lanesboro Minn., being born on October 22, 2000, Coy transferred to Cotter his junior year. 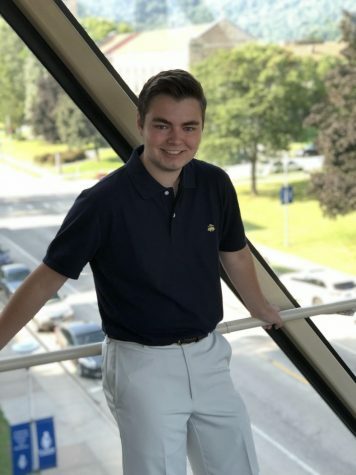 In his free time he enjoys traveling with his family, which includes his brother, who is 21 and attends Wartburg College in Iowa, and his parents. He also likes to golf, play tennis, and participate in trap shooting. Coy will be attending St. Norbert College next fall hoping to major in broad field Social Studies, with an emphasis European history or medieval times. After college Coy could see himself becoming a educator or a lawyer.